This database is a collection of the molecular models used in some publications of the Colina Research Group at the University of Florida. Select a molecule by navigating the drop down menu below to obtain information on the force field functional forms and parameters used in published articles. For each model, you may download data files containing all necessary molecular modeling information. If using any of the information provided in this database, please cite the corresponding paper, as listed on the webpage for each model. Funding for this project was provided by the National Science Foundation Grant (DMR­0908781 and DMR­1310258). 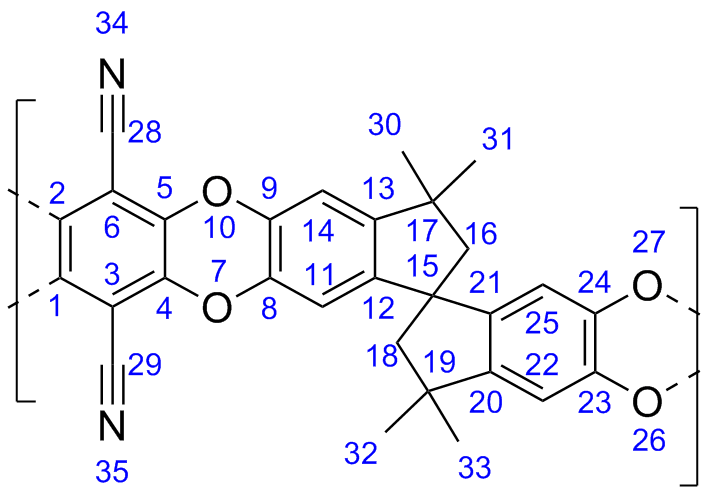 Provided in this zipped folder is the force field information used for the monomer model of this polymer, including: a LAMMPS data file (.lmps), a PDB file (.pdb), a picture (.png), and a ChemDraw file (.cdx). 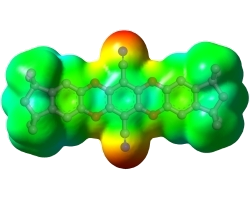 For example, CH2 is a tetrahedral carbon unit atom bead with two associated hydrogens. An “L” preceding a Linking atom type designates an atom being used in a Polymatic bonding step. Please report your issue below and we will work on fixing it as soon as possible. Error: There was an issue sending your email, please try again.